I know, the broadcast is in the middle of the night. But if you're a movie buff like me, you can't resist to stay up and watch it live anyway, so why not enjoy it on the big screen surrounded by your InterNations friends? If you hang in there with me until Faye Dunaway announces the wrong Best Picture winner (nah, not again), I might personally drive you home (only within city limits). The festivity starts at 22:30 with a welcome drink and a buffet, followed by an entertainment program at Kinobar and screen 1, with movie clips, Oscar® prediction contest, music and drinks. At screen 2, you can watch Vice, one of the night's major contenders (English with German subtitles). Live broadcast will begin at 0:30 with the stars arriving at the red carpet. The big ceremony starts at 2:00 in the morning, and supposedly they really want to keep it under three hours this year (Update: nope, their plans fell flat, it's going to be over 3h again). The price is 15 € for the broadcast, the movie screening, a welcome drink and a buffet. From 2am the entrance is free. 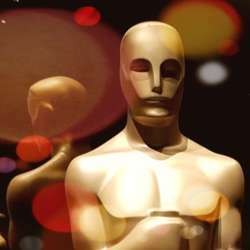 This is not an official event of the Academy of Motion Picture Arts and Sciences®. I will keep you posted when more information becomes available.